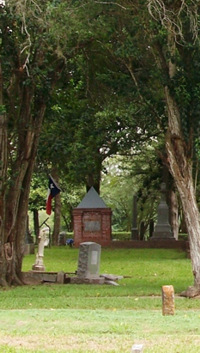 Morton Cemetery is operated by the Morton Cemetery Association, a 501(c) (13) non-profit organization. Donations and bequeaths are tax deductible and always appreciated. 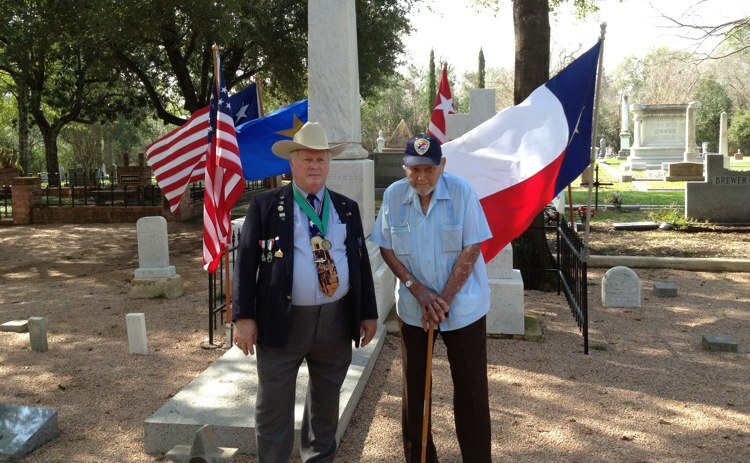 Please make checks payable to the Morton Cemetery Association and mail or deliver to our office located at 900 Morton Street, Richmond, Texas 77469. For more information please call 281-239-3648. 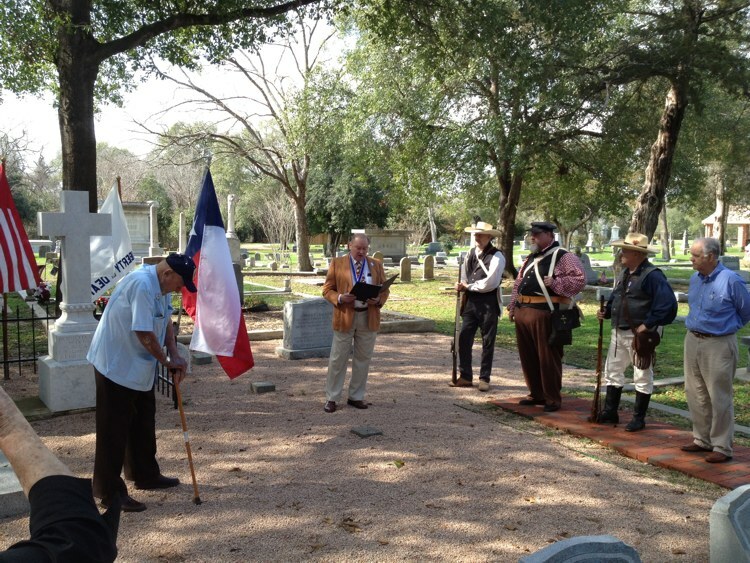 Ceremony for Mirabeau B. Lamar by the Sons of the Republic of Texas on February 1, 2012. In attendance were Mayor Hilmar Moore, City Councilman Bill & Pam Dostal, Gary Gillen, Glen Gilmore and City Manager Terri Vela. 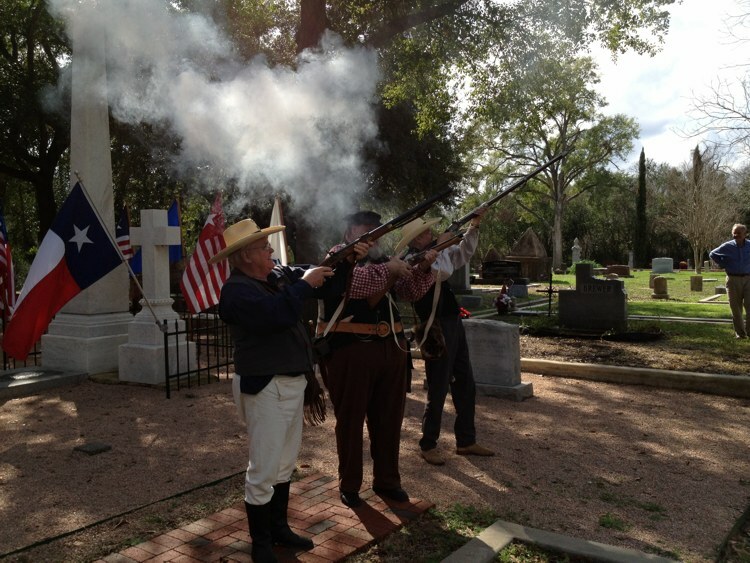 A brief synopsis of Mirabeau B. Lamar’s life was given followed by a three gun salute.